"Perang Jepun tu banyak mengubah fikiran kita. Rupanya kalau tak ada orang putih ni pun boleh. Dulu kita terfikir kalau tak ada orang putih ni, mati kita. Bila dah Jepun memerintah tiga tahun lapan bulan, kita terfikir, tak ada orang putih pun boleh jugak." "Indonesia punya yang datang tu, semangat tu datang ke mari setengah. Pasal sana Sukarno dah beri semangat tu. Sukarno maklumlah, kata-kata yang dikeluarkannya. Beri saya sepuluh orang pemuda katanya, dia boleh menggoncangkan dunia. Itu dia semangat tu sampai ke mari." 1. Menyatukan pemuda2 yang insaf dalam satu BARISAN. 2. Mengokohkan barisan perjuangan untok bangsa dan tanahair. 3. Memberi latehan siasat, ROHANI dan JASMANI kepada pemuda2-nya supaya bersedia menjadi pemimpin bila di-kehendaki. 4. Membena sa-mula Malaya mengikut faham Democracy yang sejati yang berdasarkan kedaulatan ra'ayat. 5. Menuntut perwakilan dalam pemerintahan Malaya. Pendek-nya API mahu berjuang untok menchapai kemerdekaan bangsa dan tanahair dengan segala jalan yang terbuka, dengan lembut jika boleh, dengan keras jika terpaksa. "Awak ni gila? Nak merdeka, tak tahu awak ni siapa? Orang Melayu ni siapa? Tak tahu orang putih kapal terbang ada, kapal laut ada, kapal selam ada, itu nak kita lawan?... Itulah suara yang biasa kita dengar." 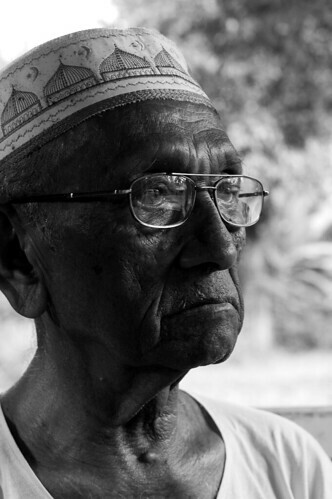 Majid Salleh, 84 tahun, berasal dari Ipoh, Perak. Selepas Parti Kebangsaan Melayu Malaya (PKMM) ditubuhkan di Ipoh pada 17 Oktober 1945, beliau telah menubuhkan cawangan pertama PKMM di Simpang Ampat, Kampar, Perak sebagai ahli jawatankuasa. Selepas menjadi ketua seksyen buruh PKMM negeri Johor, beliau telah dilantik menjadi ketua Johore State Federation of Trade Unions (JSFTU) yang bergabung di bawah Pan-Malayan Federation of Trade Unions (PMFTU). PMFTU mempunyai keahlian seramai 300,000 orang buruh seluruh Malaya. "Saya mula-mula sekali masuk politik, saya ada terbaca sebuah buku yang dikarang oleh Cikgu Ibrahim bin Haji Yaakub (Melihat Tanahair). Dia menyatakan nasib orang-orang yang kena jajah, di negara yang kena jajah, termasuklah negeri kita Malaya pada masa itu... dijajah." Hashim Said, 85 tahun, berasal dari Kuala Kangsar, Perak. Beliau bertugas sebagai cikgu di Sekolah Melayu Padang Gajah sebelum mula menganggotai Parti Kebangsaan Melayu Malaya (PKMM) pada akhir tahun 1945. Beliau kemudian menganggotai barisan Angkatan Pemuda Insaf (API) di bawah pimpinan Ahmad Boestamam. Beliau merupakan Ketua API ranting Padang Gajah, Perak, memimpin 400 orang pemuda. "The unity we talked about never mention the racial aspect as is emphasised nowadays. All we wanted was that all the trade unions, all the workers, all the women, all the organisations to join in, in a broad front to oppose the British return of the Governor to rule the country." 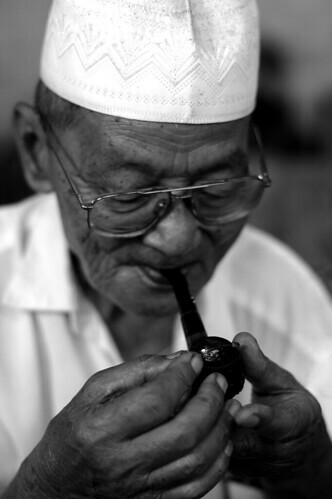 Lim Kean Chye, 88 tahun, dilahirkan di Penang pada bulan Disember 1919. Mendapat pendidikan di Cambridge University dalam bidang guaman. Beliau merupakan ahli pengasas Malayan Democratic Union (MDU) di Singapura bersama-sama dengan pakciknya, Philip Hoalim Sr., sahabatnya Lim Hong Bee dan John Eber pada 21 Disember 1945. MDU merupakan pertubuhan politik golongan berpendidikan Inggeris yang menuntut hak demokrasi dan hak berkerajaan sendiri dari penjajah British. The period right after the war, when the fires of patriotism were burning bright, was one of the most vibrant, exciting times in this nation’s history. Yet, it remains overshadowed and ignored by most people, especially those of the younger generation. A new filmmaker aims to change that by documenting the memories of men who actually lived through those challenging years. OUR nation’s independence was declared 50 years ago this week when our much-loved first Prime Minister Tunku Abdul Rahman shouted “Merdeka” seven times at Dataran Merdeka in Kuala Lumpur. But Merdeka is not about a single moment that we can admire from a distance, no matter how iconic and inspirational that moment was. The struggle for independence was a highly complicated process welding together many disparate elements that led to the creation of a modern Malaysia few would have envisaged half a century ago. While some elements of the struggle – the Japanese Occupation during World War II and the insurgency of the Communist Party of Malaya, for example – are known to most Malaysians, many tales have slipped under the radar. It was a time of shifting alliances that saw many great leaders fight for their own vision of independence at a time nobody could have foreseen what Malaysia would be, recalls former Malaysian Trade Union Congress vice-president K. George. One young man is working to ensure at least some of these people and their visions aren’t forgotten. 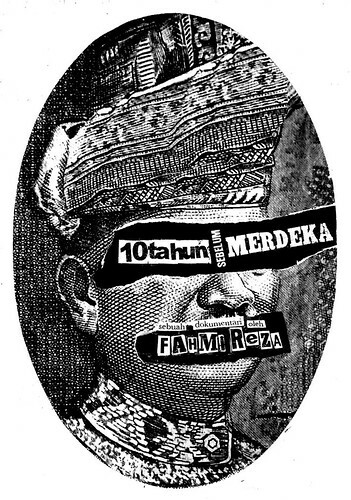 Filmmaker Fahmi Reza may not even have hit 30 yet but he is fascinated by the unpredictable, dangerous period that preceded our nation’s independence. Despite not formally studying history, he has always devoured books that detail the struggles of our forefathers. The freelance graphic designer has gone through a great deal of trouble to put together a documentary about events that occurred in the period after the Japanese surrendered on Aug 15, 1945, and before the Emergency that was declared by the British on June 18, 1948, in their effort to fight the Communist threat. 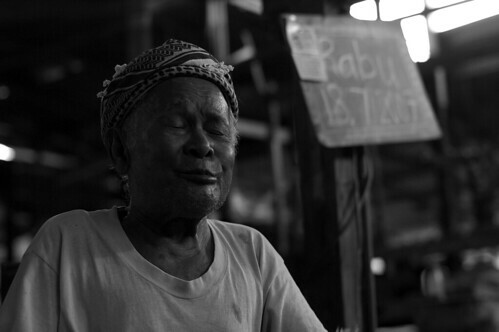 Fahmi’s passion for history stood him in good stead because making this documentary involved lots of travelling and research just to speak to a group of octogenarians about events and organisations that existed in the distant past. He feels that most people would now be aware of the events of the 1950s when Umno’s first president, Onn Jaafar, left the party to create the multi-racial Independence of Malaya Party, and how Tunku took over the leadership of Umno, forged an alliance with, first, the MCA and then MIC. From that, the Alliance Party emerged and went on to win the crucial 1955 general elections that gave it the authority to negotiate terms of independence with the British. “But not much attention is paid to the late 1940s, which was a fascinating, exciting time in our nation’s history that laid the groundwork for the independence that arrived 10 years later. It was an impressive show of unity, indeed. 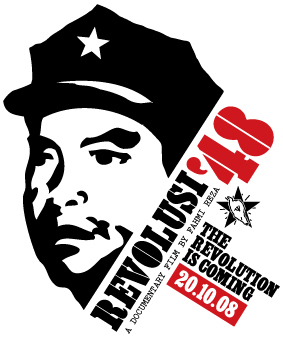 Putera-AMJCA (Pusat Tenaga Rakyat-All Malayan Council of Joint Action) was an alliance of Malay nationalist groups influenced by Indonesian political firebrand Sukarno, front parties of the Communist Party of Malaya (CPM), trade unions and even the fledgling MIC and future MCA leader Tun Tan Cheng Lock. 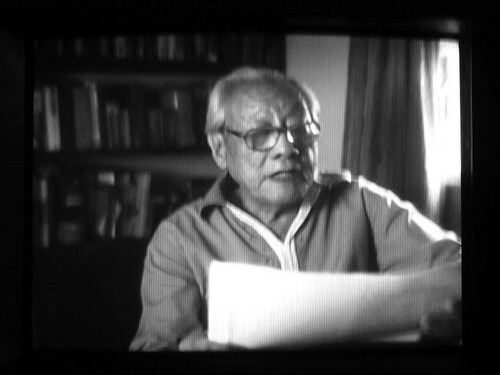 The documentary focuses on the aspirations of that period, which peaked with the publication of a People’s Constitution drafted by Putera-AMJCA and a general strike called on Oct 20, 1947. These two moments “showed the British that the people of Malaya and Singapore could be united in their desire for independence. It was a really exciting time,” enthuses Fahmi. For instance, Fahmi says it pushed for equal citizenship rights for all who considered Malaya their permanent home, regardless of race or place of birth. Another example of progressive thinking for those times was the provision for a Council of Races comprising two representatives of every race, including minorities, to ensure laws did not discriminate. Lim and Yahya, by the way, are both 88 while the others are not much younger – and they’re all sharp as tacks! Parties like the PKMM contained Malay intellectuals, often journalists or teachers, who resented the paternalistic attitude of the British. They were caught up in the global fever for self-government that erupted after World War II showed colonies that it was possible for an Asian power to, if not defeat then at the very least, threaten white rule. Fahmi supplemented his interviews with documents from the National Archives and looked up newspapers of the time, like the Straits Echo, Malay Tribune, Utusan and Straits Times. And he “got my friends to help me out on a voluntary basis for one or two re-enactment scenes that I shot”. “The Emergency changed everything, and there is the argument that it was just as much about curtailing the growth of the unions and Malay nationalists as it was about fighting the Communist threat,” says Fahmi. Fahmi is not oblivious to the fact that revisiting the past can often re-open old wounds but he hopes to steer clear of the controversy that could bedevil such a project. “I think controversy arises because of people’s views of the violent struggle between the CPM and the British colonial government, during which there were atrocities on both sides. And, as is often the case in such situations, it was the civilian population that suffered the most hardships. In our 50th year of independence, we should take the trouble to learn about such non-violent forces, for such knowledge could help us deal with conflicts, perhaps even at a global level, that are bound to arise in this new century. On Oct 20, 1947, the whole of Malaya and Singapore bore witness to the first political action that involved the united action of people of all races - the Malaya-wide hartal. The hartal, a general strike and the halting of economic activity, was effectively used in the Indian struggle for independence. It was used for the first time in Malaya by the left-wing coalition, Putera-AMCJA as a weapon against British colonialism. Putera-AMCJA was a united front comprising two major political forces in Malaya: the Pusat Tenaga Ra'ayat (Centre for People's Power) and the All-Malaya Council of Joint Action. The AMCJA was a federation of political parties, labour unions, women's associations and youth organisations that was inaugurated on Dec 22, 1946 in Kuala Lumpur. The main organisations in the AMCJA was the Malayan Democratic Union (MDU), Malayan Indian Congress (MIC), Pan-Malayan Federation of Trade Unions (PMFTU), 12-State Women's Federation in Malaya, Malayan New Democratic Youth League (MNDYL) and the Malayan People's Anti-Japanese Ex-Service Comrades' Association. Although dominated by left-leaning parties, the AMCJA was led by a prominent Straits-born capitalist, Tan Cheng Lock. Putera was a coalition inaugurated on Feb 22, 1947, consisting of Malay left-wing parties such as Parti Kebangsaan Melayu Malaya (PKMM), Angkatan Pemuda Insaf (API), Angkatan Wanita Sedar (AWAS), Barisan Tani Se-Malaya (BATAS), Gerakan Angkatan Muda (GERAM), Lembaga Persatuan Melayu Johor, and other smaller organisations. 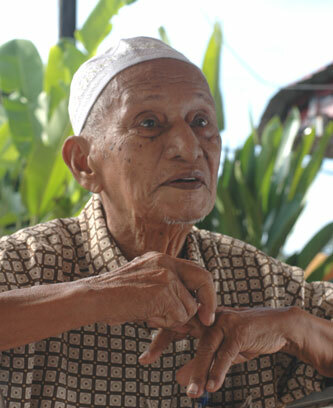 Putera was led by Ishak Haji Muhammad, a journalist and nationalist who was also one of the founders of Kesatuan Melayu Muda (KMM) in 1938. Putera-AMCJA succeeded in bringing together all the political parties in Malaya except the United Malays National Organisation (Umno) and the Communist Party of Malaya (CPM) in a popular people's front to protest the Federation Constitution that was formulated by the British to replace the Malayan Union. The coalition argued that the Federation Constitution was undemocratic because it was formulated in secret consultations between the colonial government and the Malay aristocracy, and sidelined the opinions and wishes of the Malayan people who sought democracy and self-governance. For Putera-AMCJA, the British action of consulting only one party was part of a divisive "divide and rule" tactic. It held mass demonstrations throughout Malaya to protest. At each gathering, attended by thousands from all races, Putera-AMCJA leaders such as Tan Cheng Lock, Ishak Haji Muhammad, John Thivy, Philip Hoalim Sr, Dr Burhanuddin Helmy, Gerald de Cruz, Ahmad Boestamam, K. Ganapathy and Shamsiah Fakeh explained the importance of people from all races uniting to fight the Federation Constitution and to back Putera-AMCJA's struggles. The coalition also held mass meetings throughout Malaya to gain endorsements for resolutions opposing the Federation Constitution. Hundreds of telegrams and protest letters were sent to the British government. But the British did not pay heed to any of this. Putera-AMCJA realised they needed a stronger and more progressive programme to win mass support. From May 1947, it began drafting an alternative constitution to challenge the Federation Constitution. On Aug 10, 1947, the People's Constitution was completed, taking into consideration the opinions and aspirations of the different factions within the Putera-AMCJA pact. It was a comprehensive document that covered provisions for a democratic system of government, towards establishing a new nationality and an independent nation-state. The Straits Times dubbed the People's Constitution as "the first political attempt to put Malayan party politics on a plane higher than that of rival racial interests, and also as the first attempt to build a political bridge between the domiciled non-Malay communities and the Malay race". On Sept 21, 1947, the People's Constitution was presented for the first time to more than 20,000 people who had gathered at Farrer Park, Singapore. Subsequently, Putera-AMCJA began a national campaign to explain the contents of the People's Constitution to Malayans. Meetings, mass gatherings, and demonstrations were held in various places to get the people's support. The constitution was published in four languages and disseminated throughout the states. Copies were also sent to the Malayan Union Government, the British Prime Minister and the Colonial Office in London. Yet once more, the British refused to pay attention to Putera-AMCJA or to hold discussions. The colonial government also rejected all proposals in the People's Constitution. On Oct 6, 1947, Putera-AMCJA released a "Hartal Manifesto". It called upon all those who regarded Malaya as their home to observe Oct 20, 1947 as a Day of Protest against the Revised Constitutional Proposals, by staging a Malaya-wide hartal on that day. "October 20 has been selected as the Day of Protest because it is on that day that the British Parliament is scheduled to begin its autumn session, during which it is reported that a debate on the constitutional issue in Malaya will take place. "On October 20, therefore, between the hours of six a.m. and midnight, all those who regard Malaya as their real home and who support the People's Constitution issued by Putera-AMCJA, are asked not to carry out their usual occupations, but to remain indoors throughout the day and night. "You are asked for one day to cease work in order to demonstrate to government that you reject the Revised Constitutional Proposals, and in order to carry our struggle for acceptance of the People's Constitution one step further. "October 20 is the day on which the people of Malaya will be called upon to stage the greatest political demonstration that this country has ever seen." The campaign to promote the hartal began on Oct 7. Its aim was to ensure the hartal's success and to prove to the British that the masses were behind the hartal. Full hartal instructions were issued on how it should be observed, and "12 Hartal Slogans" that pinpointed the reasons for the hartal were sent to the media, all the parties within Putera-AMCJA, and to the 30 Putera-AMCJA centres throughout Malaya to be translated and disseminated to the people so that they fully understood the hartal's aim as a political act.committees were set up in each state to align and plan activities for the hartal. 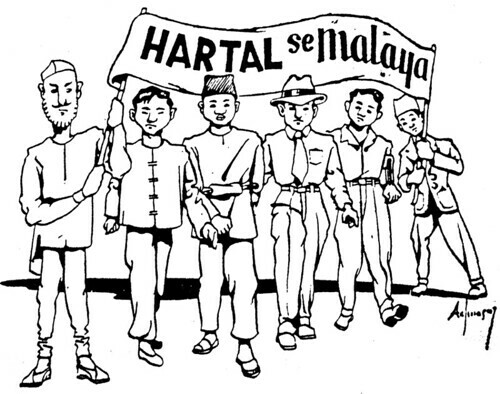 Propaganda corps were established to tour the towns, districts and kampung to put up posters and banners, as well as give out leaflets explaining the hartal and the People's Constitution. Thus, on Oct 20, 1947, beginning from 6am, the whole of Malaya underwent the hartal. Merchants shut their shops, labourers stopped going to the mines, factories, shipyards, and rubber plantations, farmers did not work their lands, fishing folk stayed ashore, housewives did not go to the markets, and the youth stayed away from amusement parks. Only colonial government offices, European stores and several other shops operated as usual. It was estimated that the British colonial government suffered £4 million in losses from the nationwide strike that day. According to the Putera-AMCJA, the hartal was also "a unique method of political education. It brought the constitutional issue into every home in the country, and confronted every man, woman and child with this issue. Even in the Government English schools, children in the fourth and fifth standards questioned their teachers about the hartal, asked about its nature and why the government was opposed to it". Even though the hartal was a complete success in its execution, it failed to change British constitutional policy in Malaya. The British rejected the People's Constitution and stayed committed to their agreement with the Malay aristocracy and defended their Federation Constitution. On Feb 1, 1948, the Federation of Malaya was inaugurated to replace the Malayan Union. Then, to crush Putera-AMCJA's continued protests against the new Federation of Malaya, the British declared a state of Emergency throughout Malaya in June 1948. Thousands of Putera-AMCJA leaders and members were arrested. 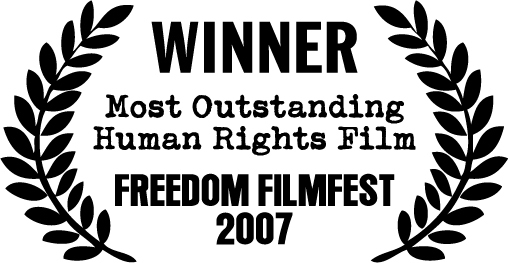 Most were locked up in detention camps for several years while others were banished. Most of the organisations affiliated to Putera-AMCJA were banned or dissolved. This was the turning point and marked the beginning of the end of the constitutional independence struggle of the left in Malaya. 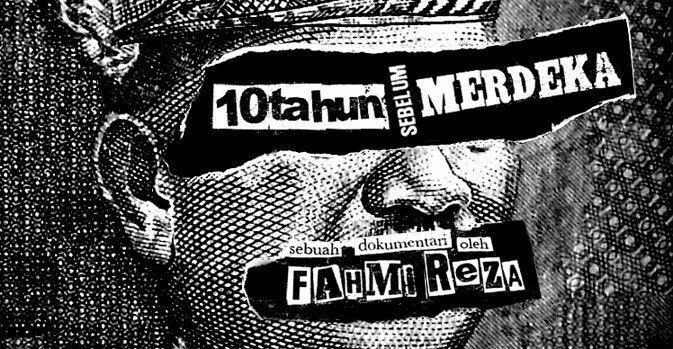 Fahmi Reza is the director of Sepuluh Tahun Sebelum Merdeka, a short documentary film that chronicles the events that culminated in the Malaya-wide hartal day of protest against British colonial rule on Oct 20, 1947. Ini editorial cartoon tentang Hartal dari majalah Kenchana keluaran 1 November 1947. Kenchana, majalah bulanan berbahasa Melayu rumi yang diterbitkan 2 kali sebulan di Singapura di bawah ketua pengarang Harun Aminurrashid. Kartun tu dilukis oleh Naz Achnas, Wakil Pengarang dan Pengator Seni majalah Kenchana.